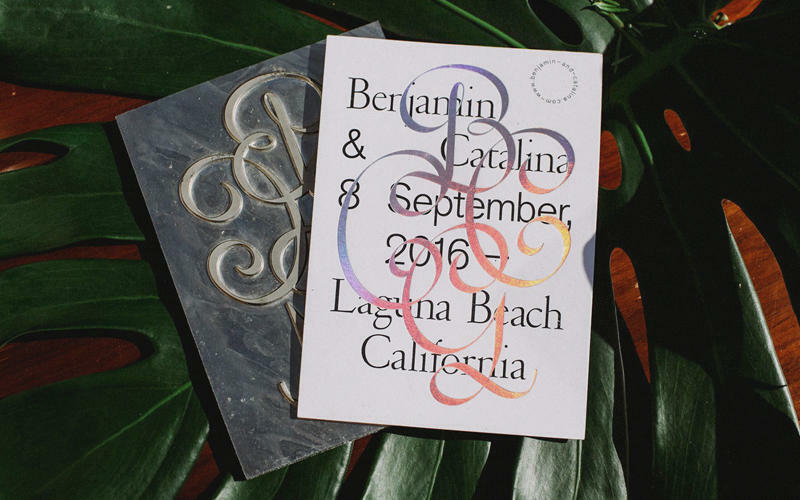 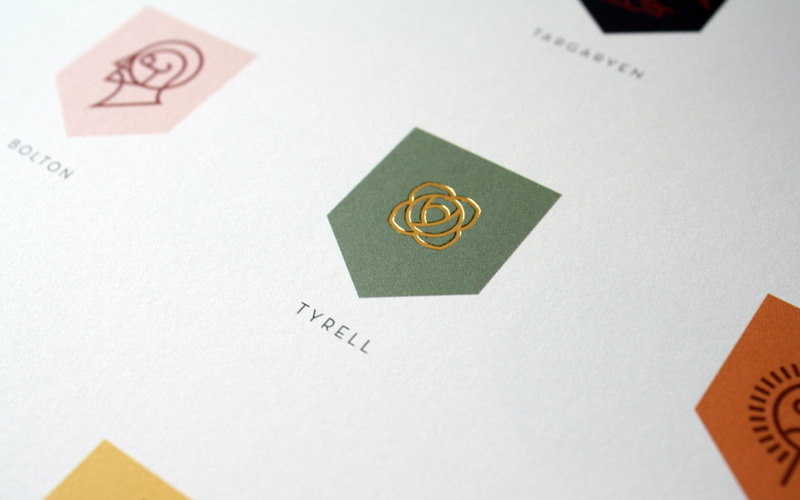 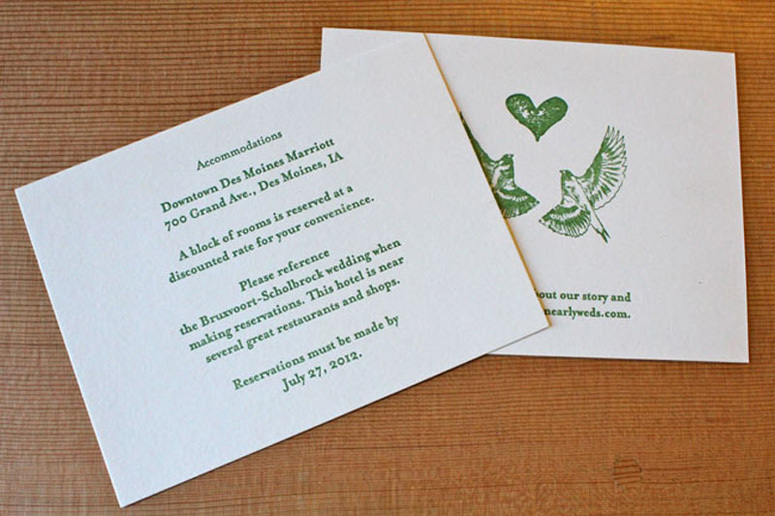 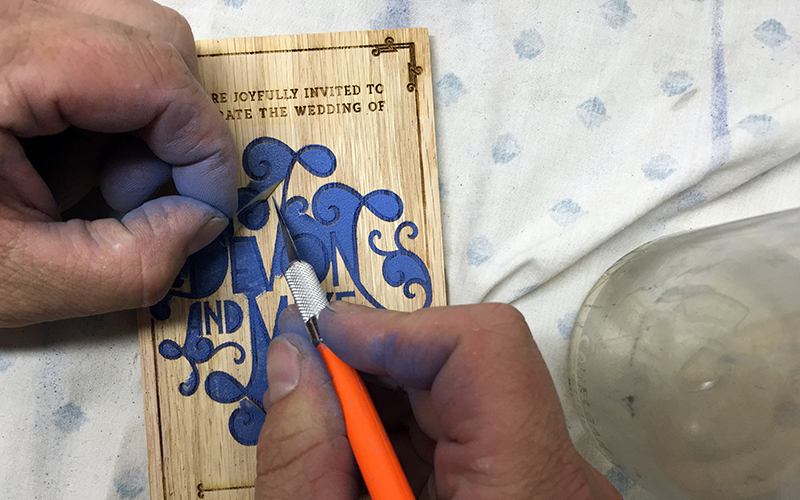 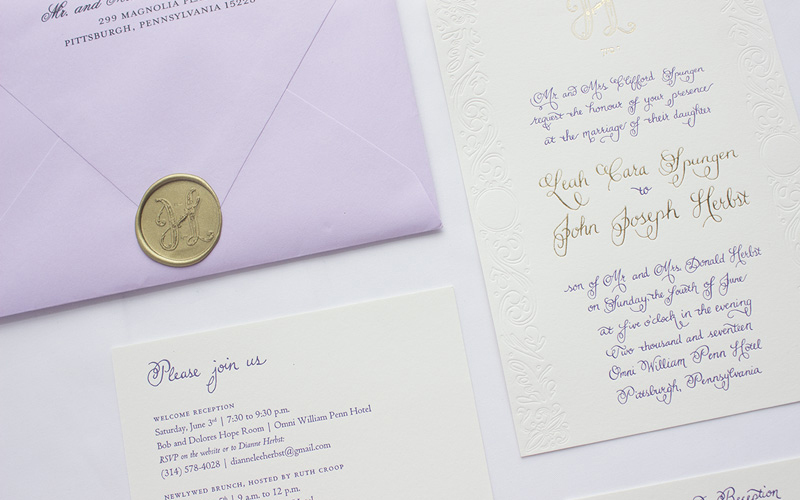 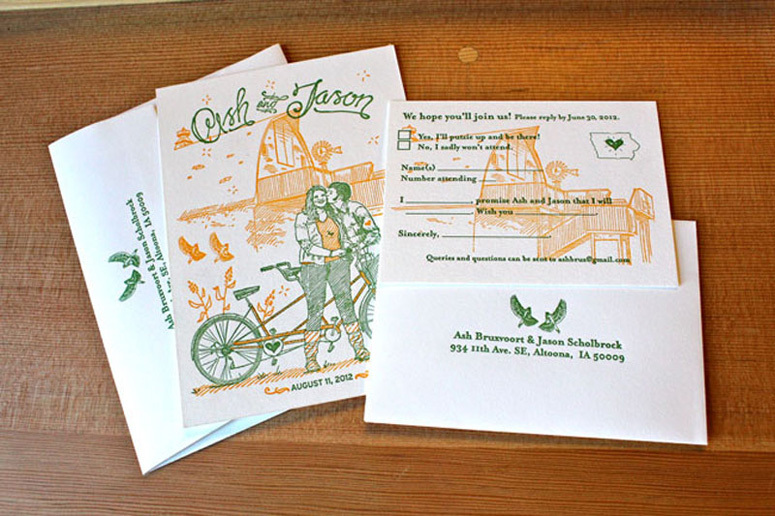 This fully custom wedding invitation suite was designed with the utmost care for these two lovely individuals. 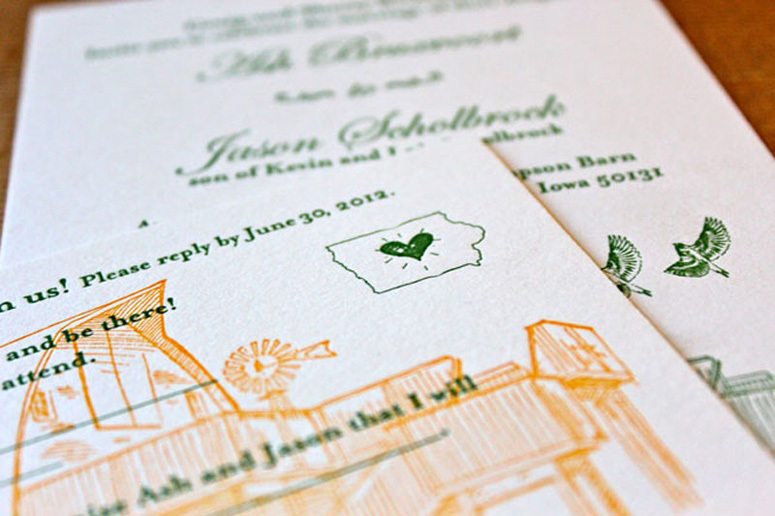 With a very country Iowa wedding at hand, we had a lot of inspiration and fun in the bringing it all together. 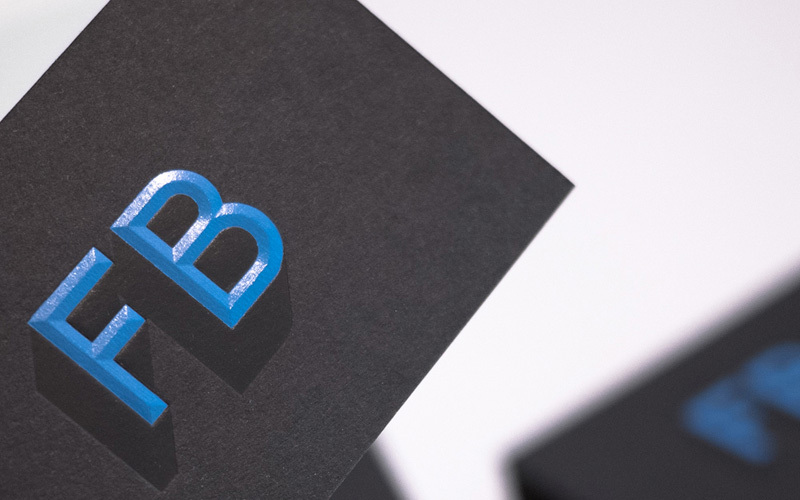 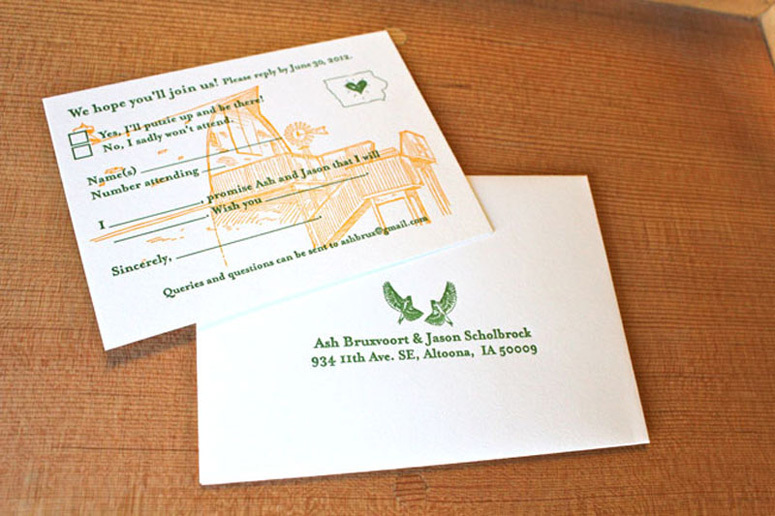 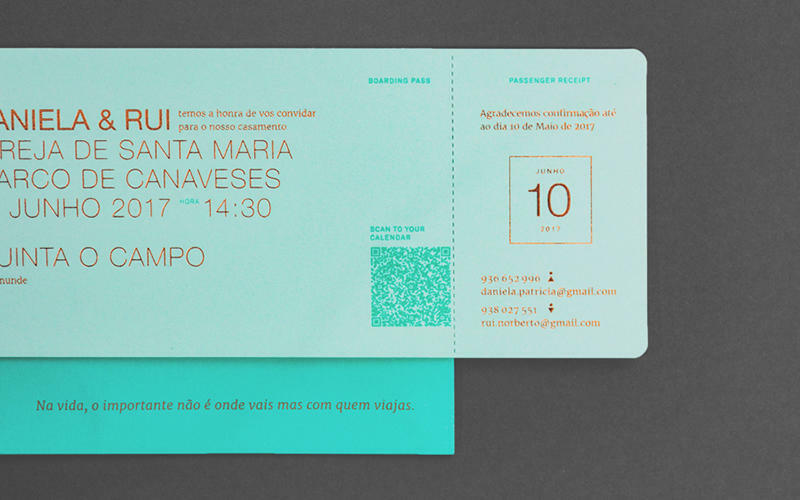 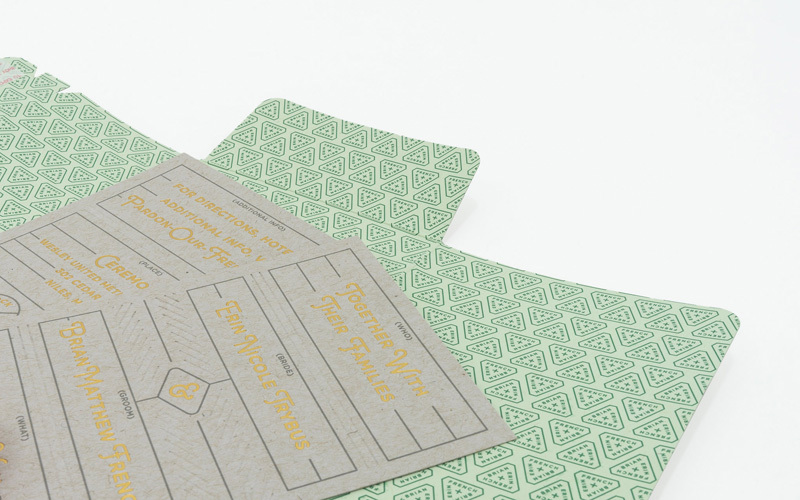 The suite includes an art print invitation featuring Ash and Jason, response card, information card and matching envelopes. 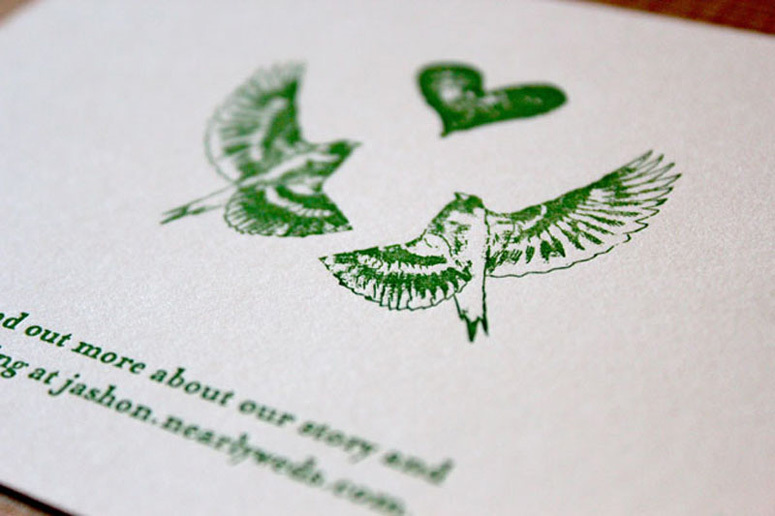 The power of a learning about your client is immeasurable, we have our clients fill out questionnaires so that we can really illustrate their life and love. 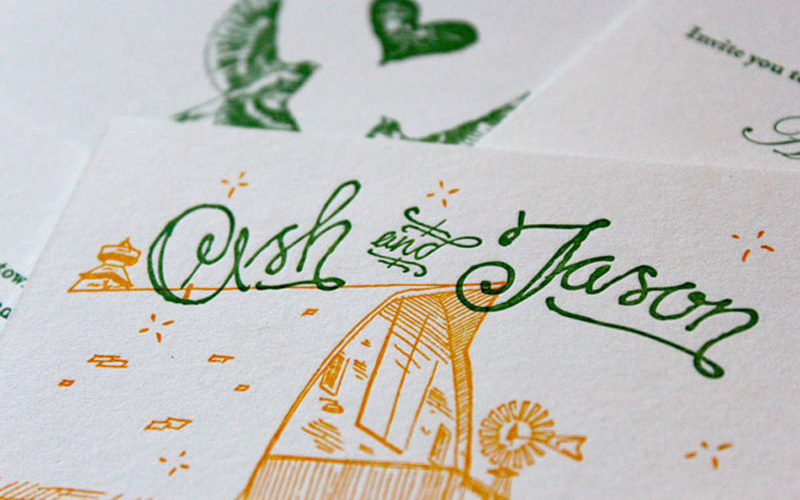 Ash and Jason turned out to be a absolutely amazing people and a great inspiration for us, to never stop loving and chasing down your goals. 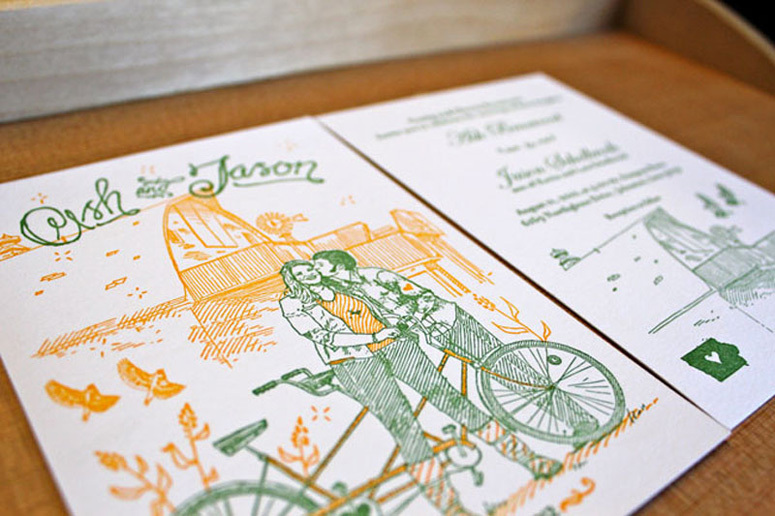 Detailed line work coupled with a playful orange and green color palette sets a comfy tone for Ash and Jason's casual country wedding.